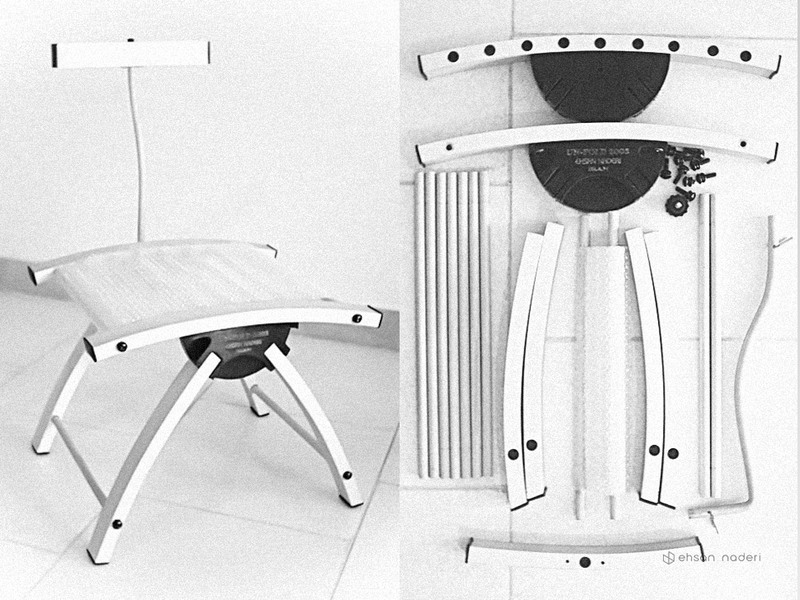 The first chair was selected in UN-FOLD ’05 Design in UK. 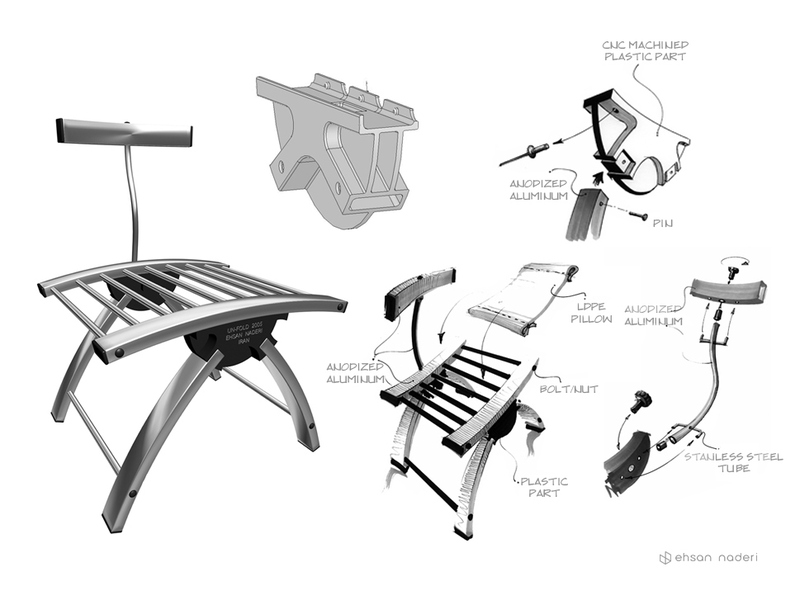 Seat-Pack, is a light weight and easy to assemble chair which can be packed in a small box (approximately: 40*30*8 cm). This prototype has been made of standard anodized aluminum profiles. 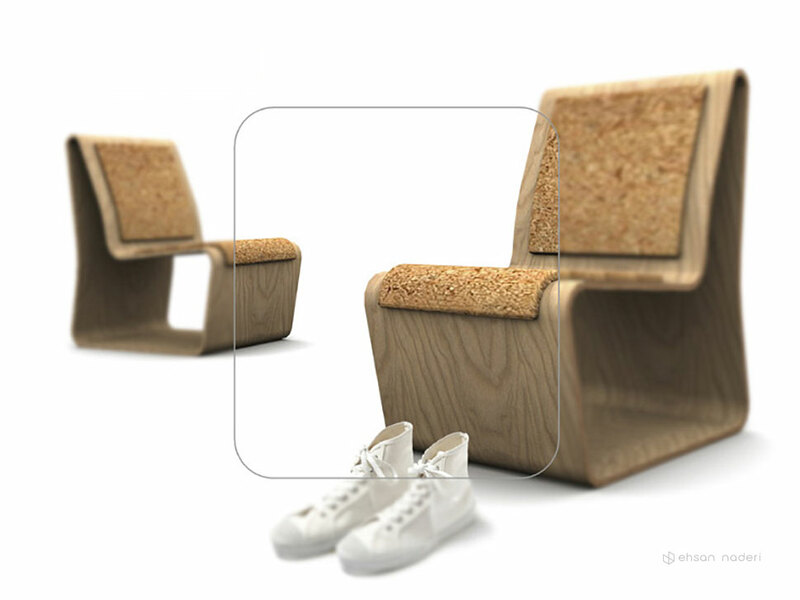 Combined with a layer of soy-based synthetic foam, the plywood body, build the second sustainable chair. 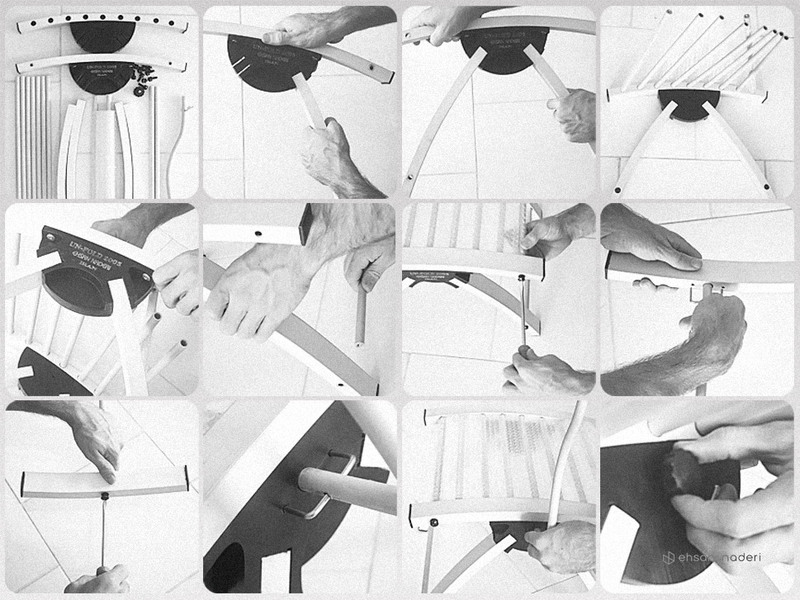 Dimensions: width: 450mm, seat depth: 450mm, seat height: 375mm, back height: 400mm.